You’ve already seen the closet and now it’s time to see the rest. 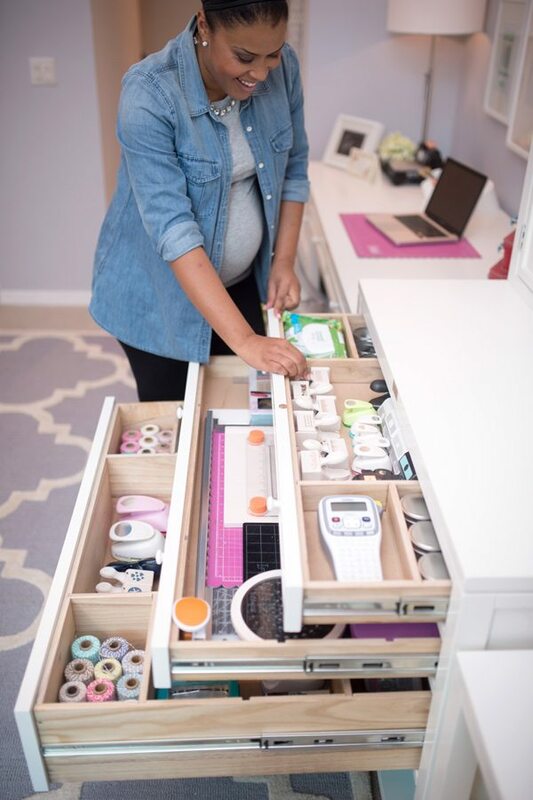 If you haven’t already visited the Home Depot blog – you should take a trip over there to see the before and after photos of the Crib Meets Craft space. Once you’ve done that, come on back for a more detailed look at all the elements that make this room so special and so functional. If you’ve read THIS post, you know that this room used to be a guestroom/craftroom that housed our big green sofa bed. That has been replaced with a sleek, acrylic and wood crib that I fell in love with as soon as I saw it. Originally, I wanted a crib that was all acrylic, but Andrew kept telling me it looked like a fish tank. On the wall just across from the crib is my workspace. This rocker was one of my biggest wishlist items for the nursery. 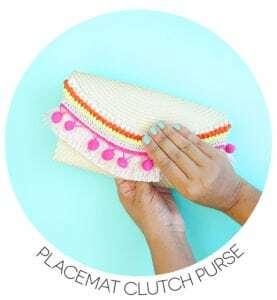 I fell in love with it the minute I saw it on the NurseryWorks site. With the addition of the aqua floor pouf from Land of Nod, this little corner of the nursery is ready for late night nursing and lots of story time sessions. Andrew keeps making fun of me because I refuse to let up on all the wall art in this room. I just can’t leave a bare wall! Just above the rocker, I designed this trio of simple, graphic prints that coordinate with the colors of the room. I love how they look. Now if we head over to my workspace, you’ll see even more fun art prints! My Martha Stewart Craft Desk takes the place of my old Ikea furniture and I am loving it…and can we talk about this acrylic chair. It coordinates perfectly with the acrylic on the crib. I wanted to place some colorful artwork in the room, and found a huge print from Ikea for a great price. As for each of those four pieces around the large print, I designed them myself! 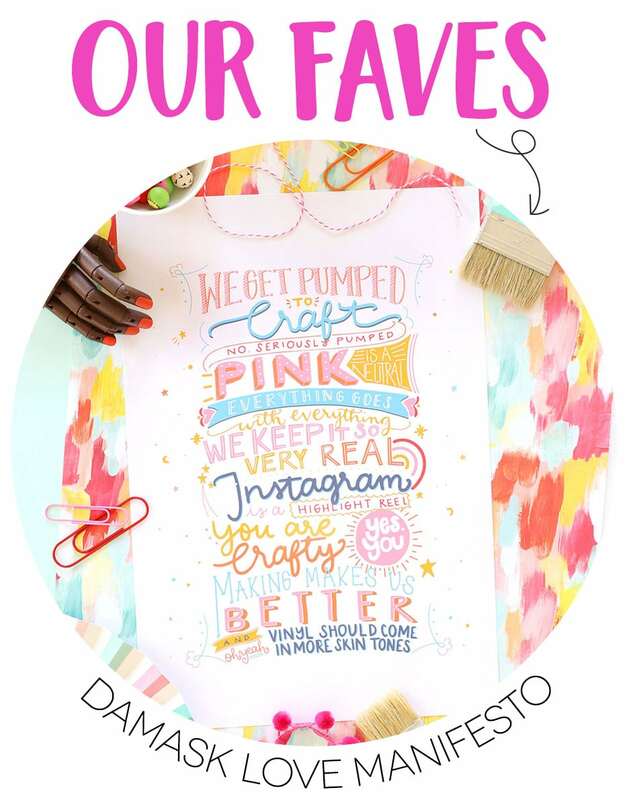 Each one features a fun, graphic, crafty image with a color name beneath. 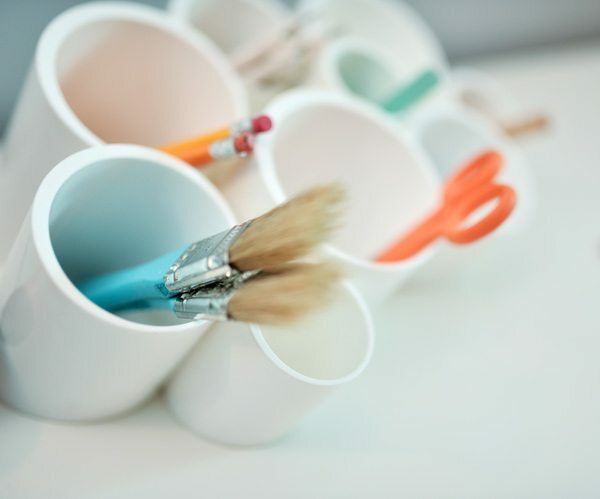 They work perfectly for the crafty theme of the room and their kid-friendly as well! I wanted to keep the desktop clean and uncluttered, but it still needed to be functional. 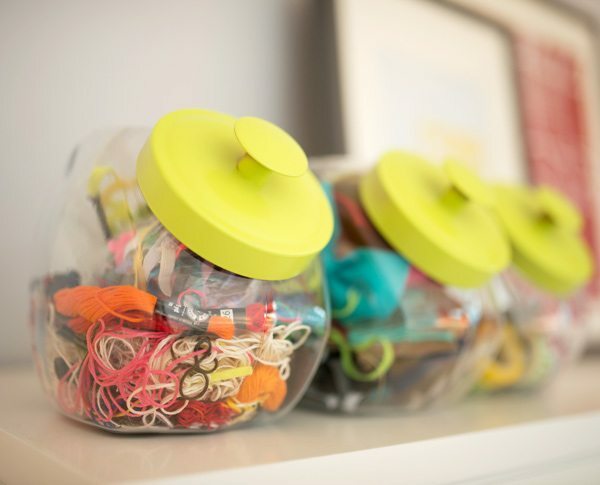 The Cubby Cups from Land of Nod are a great way to store lots of pencils, rulers and other tools without taking up a ton of desk space. 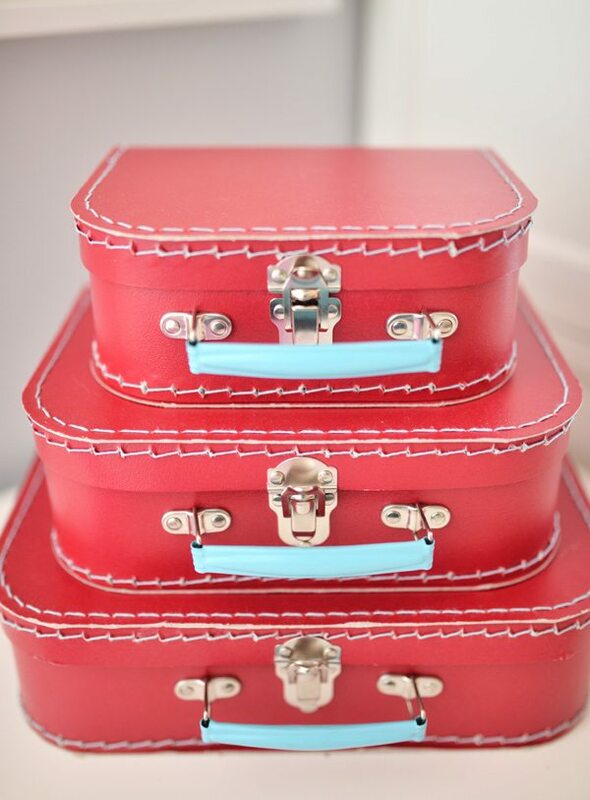 These paper suitcases are another functional addition to my desktop. Inside, I store all of the acrylic blocks that I use for stamping…and I have quite a few of them! They are a great pop of color but also serve a great purpose. Double duty. Love that. 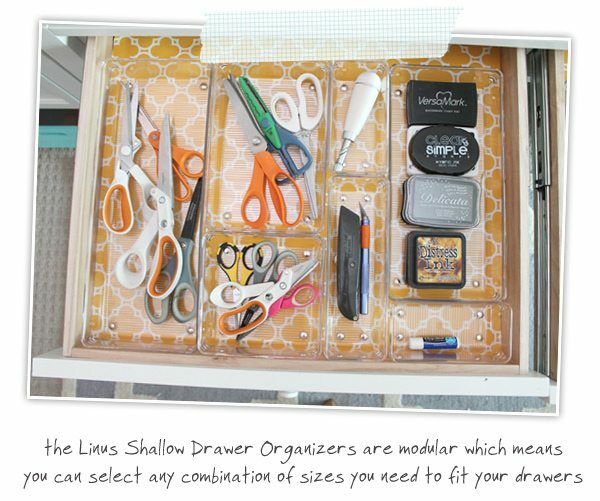 The Martha Stewart craft desk houses two deep drawers that hold a ton of supplies. For the sake of keeping things organized, I picked up a selection of Linus Shallow Drawer Organizers and arranged them within the drawer to fit my needs. 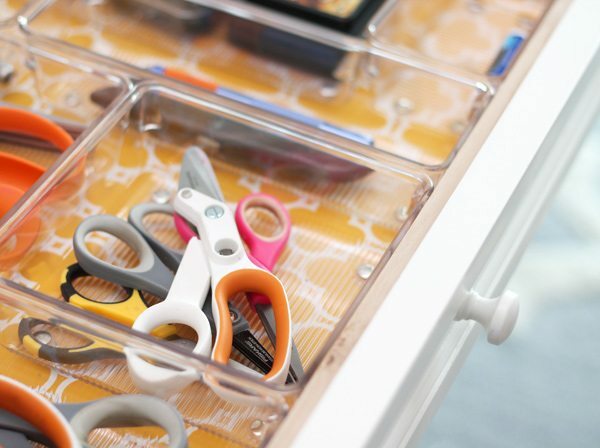 I love that I can keep my scissors tucked away and organized by size! I also added some wrapping paper to the bottom of each drawer for an added pop of color. 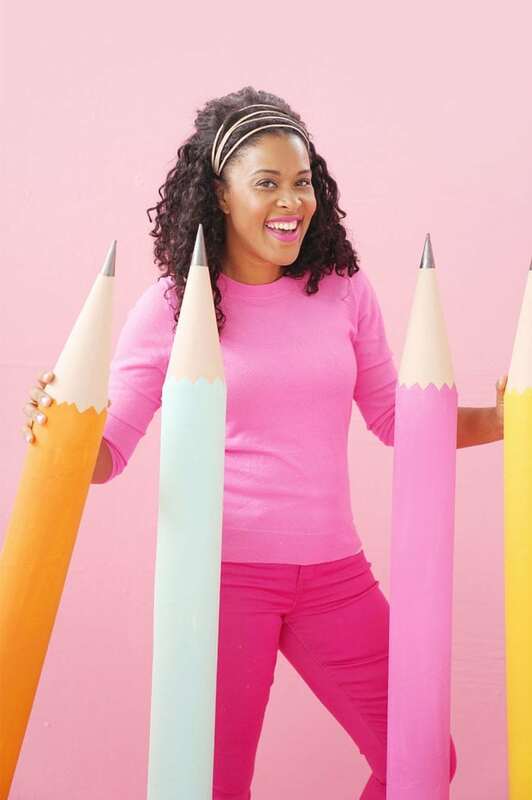 It’s an easy and cheap way to add color to your space. 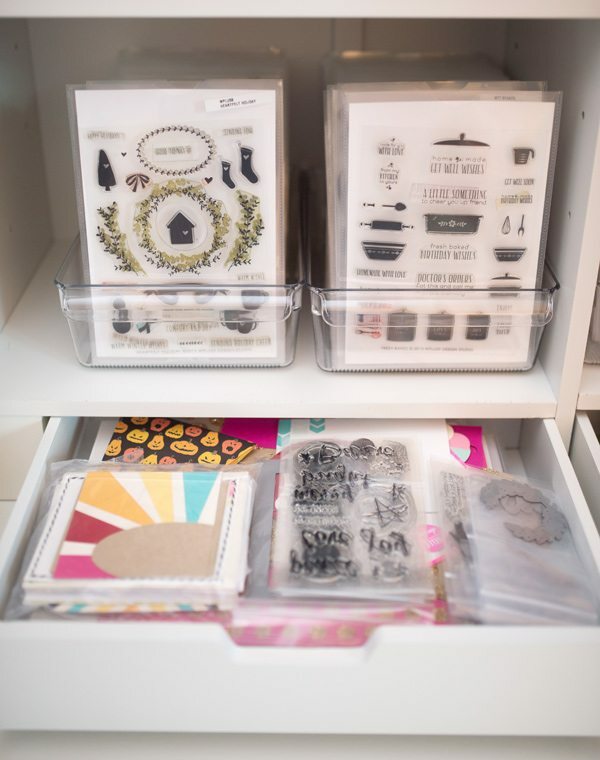 Now, when it comes to my craft storage, the star of the show is most definitely my Martha Stewart Craft Hutch and Three Drawer Flat File Cabinet. If you’ve never seen one of these in person, let me tell you this: these things are deceptively massive! They don’t really take up a huge footprint but man oh man, do they store a ton! 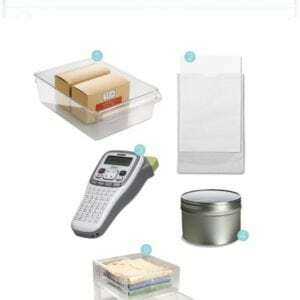 The drawers pull out completely allowing you to use every single centimeter of space inside. Inside the hutch, I store all of my stamps, ink and dies. I keep them all organized inside of THESE awesomely sturdy Linus Cabinet Organizers. 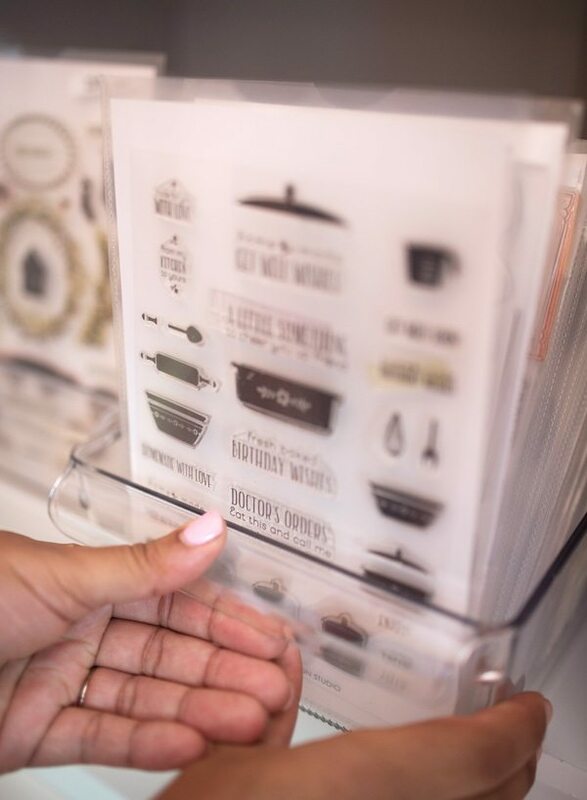 The sturdy pull handle on the cabinet organizers make it very easy to grab my stamps and put em to work. On top of the hutch, I’ve placed three cookie jars which are filled with odds and ends that didn’t have a home. I spray painted the jar lids to match the room and I love the pop of color that they add. Now, that wraps up my coverage of the Crib Meets Craft room – but be sure to visit the Home Depot Apron Blog for a ton more photos of this space, including tutorials on the DIY projects I completed in the room! If you have any questions about this room or the products I used, just ask in the comments! I’ll make sure to give you all the details you are looking for. A huge thank you to Home Depot for their support in making this room happen and allowing me the opportunity to share this space with all you crafty moms out there! 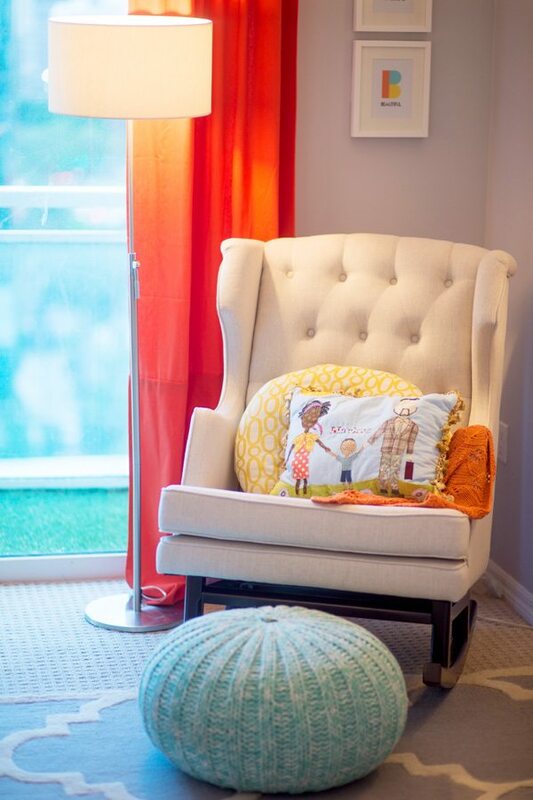 An additional thank you to Land of Nod for providing the beautiful accessories that make this room so special. I am speechless! This is the most beautiful crib/craft space I’ve seen! Your style is amazing! Congrats on the little one. We just had our little Max 7 months ago. They sure are fun! Does it hold everything! Job well done as usual! You are my craft queen! 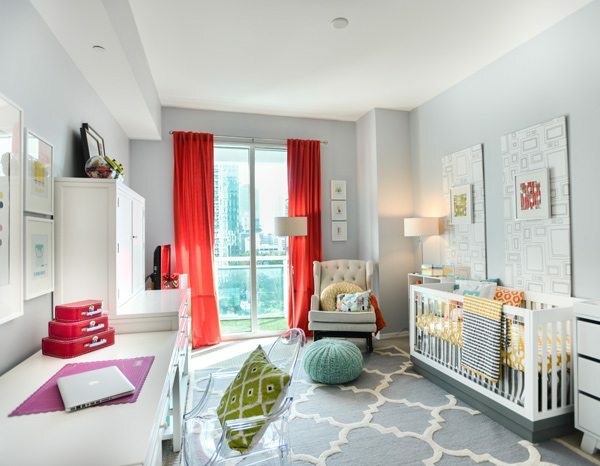 Very nice set up baby and craft room all in one! 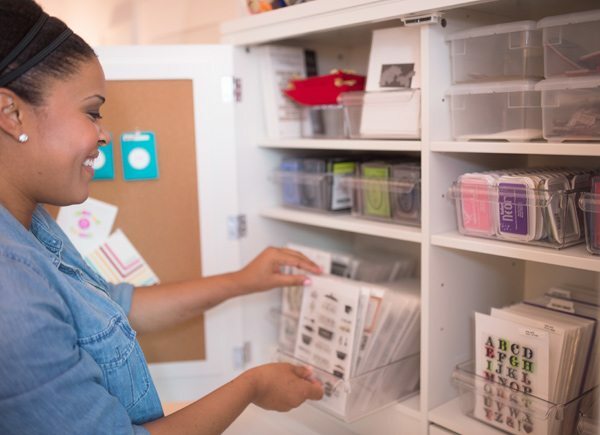 🙂 Do you store you stamps alphabetical order and what kind of plastic are they stored in? Gosh, Amber, you continue to amaze me. What an awesome room. I love the room. Once baby can climb out of the crib you will have to lock everything down. It is funny what mischief they get into when taking a “nap”. 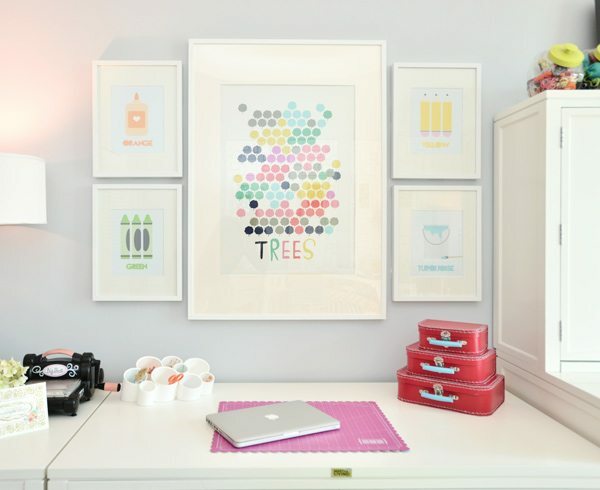 This has really inspired me to make better use of my crafting space! I have to share space with my homeschooling area, so thanks for sharing! What an amazing makeover! Everything looks so neat and organized! Wow! Everything is in it’s place and everything has a place! So clean with the perfect color combinations. Amber, I think you have created the perfect little corner in your world! Amazing! It’s beautiful, functional and SOOOO organized. What a great space Amber! So bright and beautifully decorated but how in God’s name do you craft while the baby is sleeping in the same room? Like Celeste i think it is great but wonder how it works when the baby is sleeping. I do a lot of craft in the evening do you too? When you want to work on a project, does the baby sleep elsewhere or do you craft elsewhere? I love your blog! It’s one of my favorites. I absolutely love this room. So bright and beautiful, great for crafting and baby. Girl, you killed this!!! Love the way this turned out. Love this. Just bookmarked this site. You are amazingly creative. 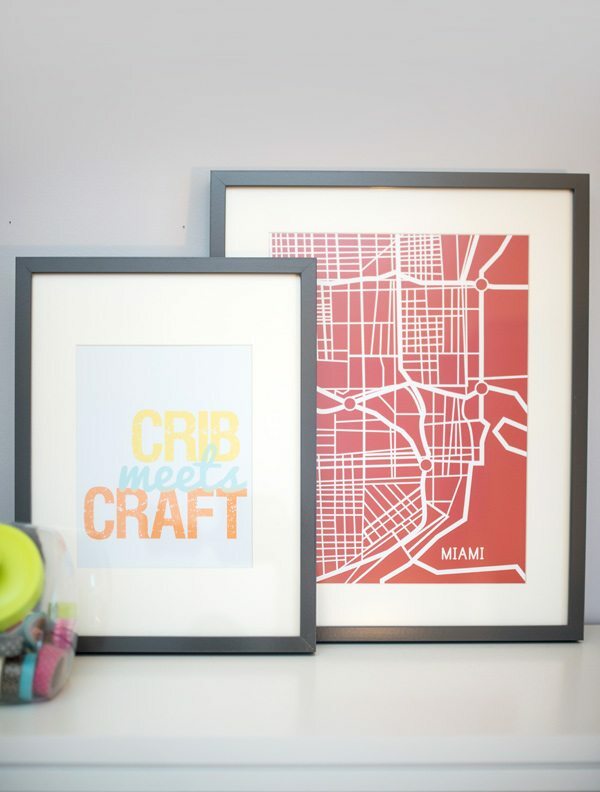 Love the craft/nursery room! And can I just say this…that pillow on the chair? Darling! O.M.G. This is the most beautiful crafty baby room I’ve ever seen. Might be the only one, but if there is ever another, it won’t be this gorgeous. It can’t! You are amazing. Will you come to Oklahoma and help me design my new craft room? I’m moving in a couple of weeks, and I want it to look just like yours. Minus the baby stuff. I love babies, but I”m done with all that (my oldest is 18, and my youngest is 10). Okay. This might be the longest blog comment I’ve ever left. You’re worth it because you’re so amazing, though. That is all! Olá, amo demais seu blog. É incrivelmente lindo tudo que você faz!Ficou muito lindo seu espaço de trabalho. Por favor poderia me dizer onde encontrou essas imagens dos quadrinhos? Achei super fofos. Obrigada por compartilhar suas ideias. I love this room! So clean and fresh!! What colour did you paint the walls and where did you the rug from? Awesome space ! It would be hard to leave that beautiful creative space! Bet your baby has grown up a lot since you posted this! I just discovered you while googling craft room ideas. This room is absolutely beautiful!!! 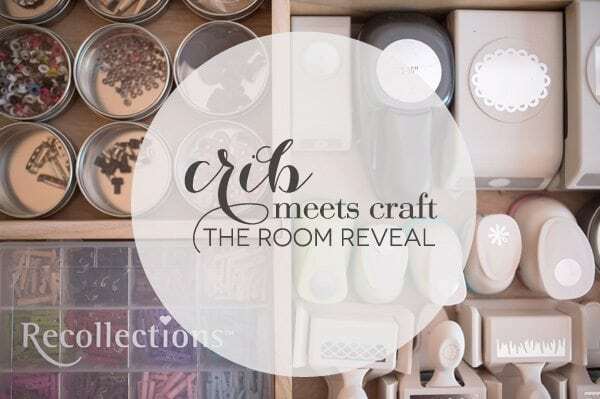 I’m fortunate enough to have a small room just for crafting, and it will soon get a makeover. I’ll definitely be using tips from this post! And I will be checking out this blog regularly from now on – great job! 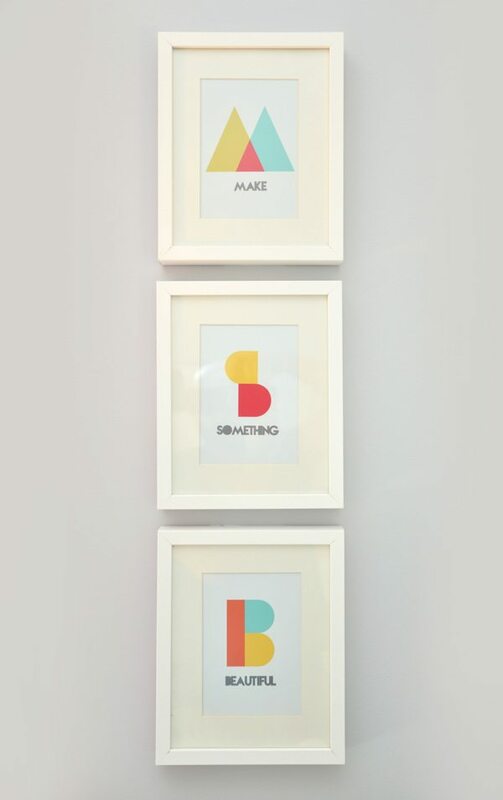 Your baby will be as creative as you! Such a soothing and beautiful space! Love it! Are you out of your mind!!!!! The hazards in that room once baby is mobile are too many to count. Scissor storage in the same room???!!! All the little accessories that are choking hazards???!! Seriously? Worst idea ever!